The experts at Profitable Authors Institute. 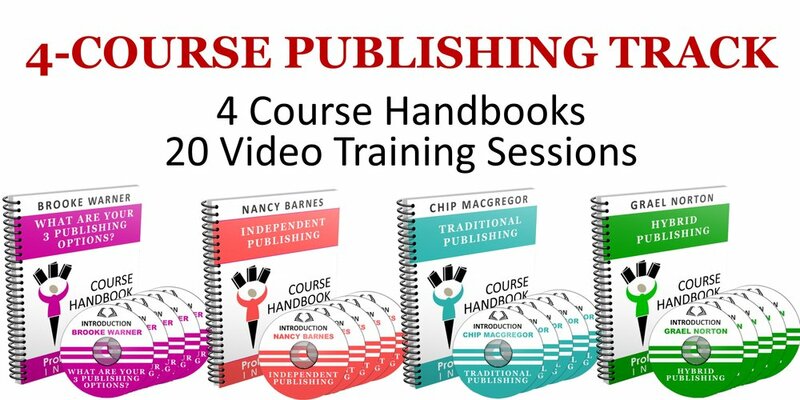 A look at our 4-course publishing track. We are authors and editors, publishers and marketers who have launched hundreds of books that have sold millions of copies worldwide. Quite frankly, we know what we’re doing. Due to our years of working with aspiring authors like you, we know that many newbies make common sense mistakes. We have seen too many talented writers fail to achieve their dreams of becoming top-selling published authors. So, we came together to help you quickly get your manuscript finished and polished, published and promoted so that you can not only be a published but also a profitable author. This program is a no-nonsense approach to book writing–-novels, memoirs and self-help books–-packed with practical, high quality and affordable instruction that will equip you to reach your goals. If you are serious about becoming a published author who can make an impact and an income, this is the program for you. To get this information to you as quickly as possible, we are rolling out four courses every two months: The Writing Track will be available on January 23rd. The Publishing Track on March 20th. The Promotion Track on May 22. Register today!